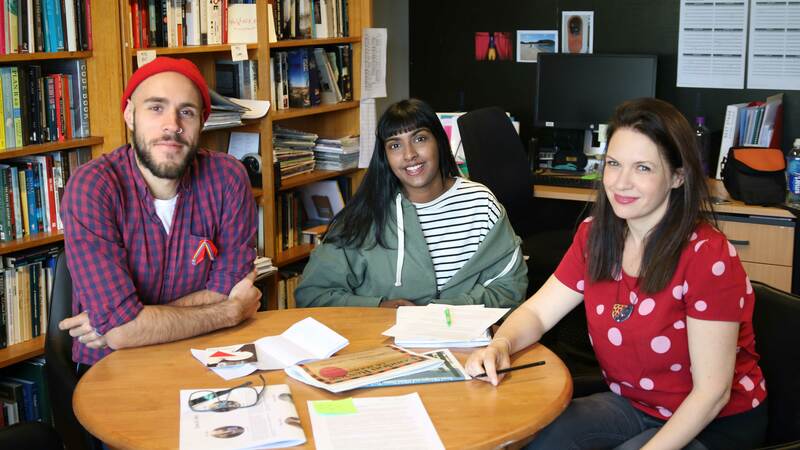 NEXT STAGE will provide up to 50 opportunities for Australian writers comprising residencies and commissions over the next five years welcoming writers across all media and disciplines, including established screenwriters and novelists. The first seven writers commissioned through NEXT STAGE are Angus Cerini, Patricia Cornelius, Michael Gow, Benjamin Law, Joanna Murray-Smith, Leah Purcell, and Ellen van Neerven. In August, playwrights Dan Giovannoni, Natesha Somasundaram and Kylie Trounson joined the NEXT STAGE program as the first residents and will be embedded in the company for up to three years. As residents, they receive a generous annual stipend, office resources, company support, attend regular meetings with the Artistic team and are integrated into all aspects of MTC’s operations including the programming and production decision-making processes. In the second year of residency, the writers may go on to be commissioned to write one full play. What excites you most about this NEXT STAGE residency? DG: That it exists! What an incredible program and investment in playwrights. I’m excited to get to know Kylie and Natesha better, learn about their work and how they work, and tap into some of the excellent brains that work at MTC. I’m excited that the residency is not entirely outcome based – I’ll be working on a new play while I’m here, but I’ll also be working on a bunch of other projects, and that’s a real gift, to be given time and space to work at being a full-time writer, not just on a specific project. KT: I think the opportunity to be part of the company for a period of time. Writing can be a very lonely pursuit. I love the fact that a few days a week I put on nice clothes, brush my hair and turn up to the office to write. I am so much more productive writing at MTC HQ than at home – there’s no laundry, dishes or other procastinatory measures. It’s such a luxury to have all these great brains around to pick – from Brett [Sheehy] to the Literary Department to the Associate Directors, Producer, Marketing, Production and Casting. It makes the prospect of crafting a bespoke play for the company a pleasurable and wieldy task. NS: Being able to write whatever I want. Strange as it sounds, it can be really intimidating to take artistic risks in the current climate of the Australian arts. Funding is tight, everything has become ultra-competitive – and it can be really disheartening as an emerging artist, when attempting to create work that is unconventional and challenging. I am excited to have the encouragement and belief from MTC’s Artistic Team; and to be able to create works that are bold and daring. What are you working on and what are you hoping to achieve through this residency? DG: I’m working on a few things at the moment. Mostly while I’m here I’ll be working on a play that doesn’t have a title (at the moment anyway), but is a multi-generational black comedy about inheritance and war and MH17. My plan is to have written most of that play by the end of the residency, so check back in 12 months! KT: I am working on a detective story with a difference – the key players are all women and the murder is solved early on in the piece, the real mystery is who the characters really are and how they affect and change each other in the circumstances they find themselves in. I hope to get a good final draft of this piece completed by the end of the residency, and also to collaborate with some of the brilliant people who work here. NS: I’m working on a new play at the moment – about three people, about climate change, about a baby, and about the comedy of the mundane, and the comedy of horror. I’m interested in crafting a world imbued by minutiae and detail. It’s quite stylistically different to what I usually write, but the characters and themes really excite me – and it’s very structurally challenging. Being a fairly new writer, I’m hoping to rigorously refine my craft – by writing as much as possible. MTC sincerely thanks the Donors of MTC’s Playwrights Giving Circle for sharing our passion and commitment to Australian stories and Australian writers.